What Have Demos Ever Won Part Two : DDD The Straw That Broke The Camels Back ? 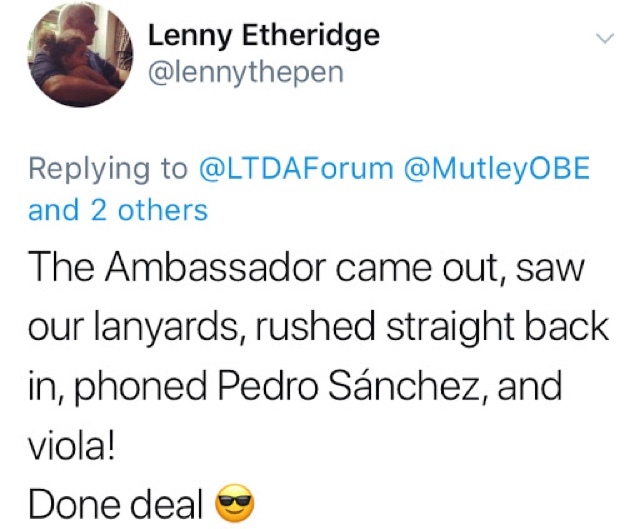 After seeing the Flash Demo outside the Spanish embassy in Belgravia, Spanish taxi authorities end Uber strike after licence limits agreed. 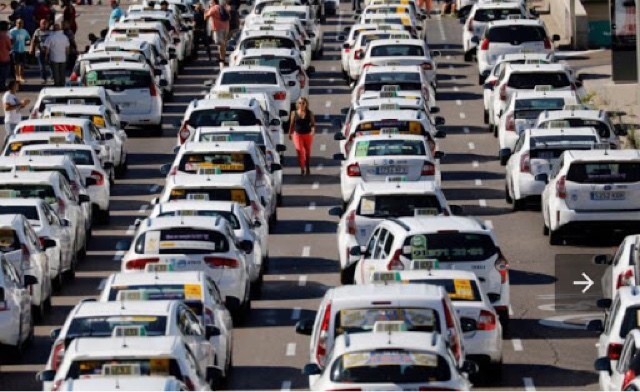 Spanish taxi drivers ended a six-day strike late on Wednesday after the government agreed to set tough limits on licences for online ride-hailing companies including Uber, the latest setback for a company that has faced protests in many countries. The government agreed to pass new regulations in September guaranteeing a cap on licences for Uber and similar services at a ratio of just one permit for every 30 taxi permits. A representative of the ride-hailing services said some taxi drivers had attacked its members during the strike. 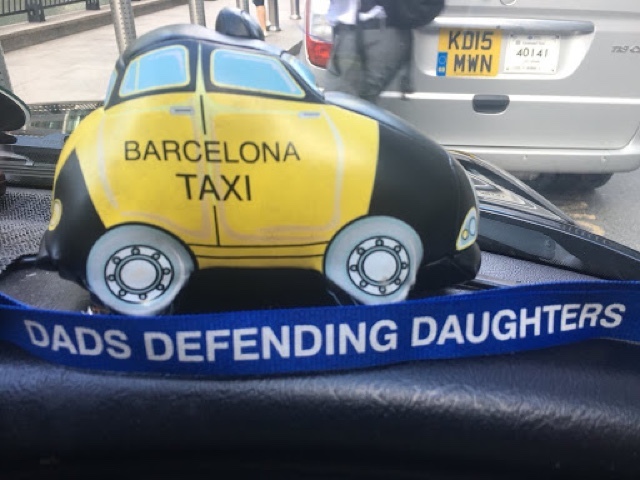 Spain's taxi association said it condemned all violence. Backed by investors including Goldman Sachs and BlackRock and valued at more than $70 billion (£53.4 billion), Uber views Western Europe as an increasingly important market. 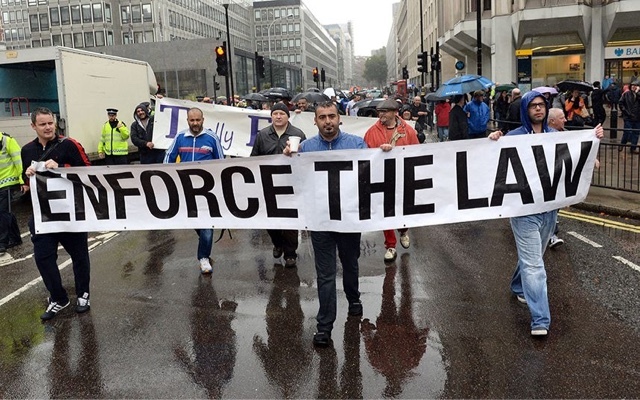 London cab drivers are considering bringing a class action suit against Uber after the mobile app was granted a temporary licence renewal to operate in the British capital. There were "very serious incidents including cars being stoned, cars overturned, gun shots and a great number of drivers treated for stress and bruises," their representative Eduardo Martin said. In the recent case against Uber, chumoxcracy judge Emma Arbuthnot, tried Uber not on the evidence presented to her, which clearly and indisputably showed (on Uber's own admittance) them to be 'not fit and proper', but on what the company might aspire to become in the future. It's like the judge saying to John Reginald Christie "we know you killed these women and that child, but if you promise not to do it again, you can carry on walking the streets of Ladbroke Grove as a special constable". Justice must not only be done....it should be seen to be done! 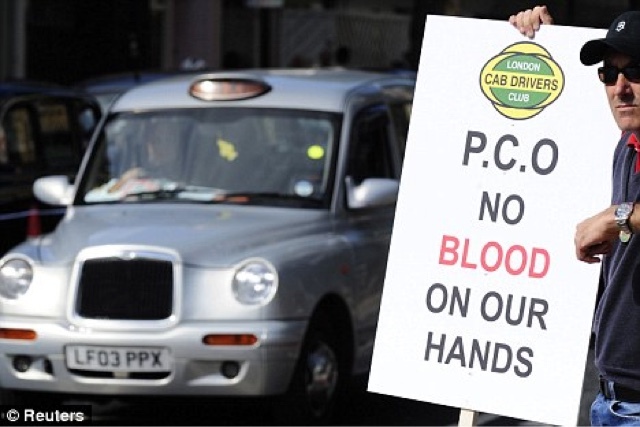 Below is a case reported in the Yorkshire post which shows how Uber should have been judged. Let's hope that in the upcoming case against Uber in York, the case is heard in front of an unbiased, impartial recorder such as Angus Whithington and not one of the Tory faithful such as Emma Arbuthnot. In a final bid to continue operating, joint owners of Wendy’s Wheels, Wendy Jackson and Andrea Noble appealed to the crown court in a bid to overturn the decision of East Riding of Yorkshire Council’s licensing committee made in March 2017 to revoke their operator’s licence as well as Jackson’s driver’s licence. The committee made the decision on the basis they showed a lack of compliance, poor standards and conduct as well as a lack of responsibility for promoting the aims of the licensing policy, which is there to protect the needs of residents and visitors to the East Riding. 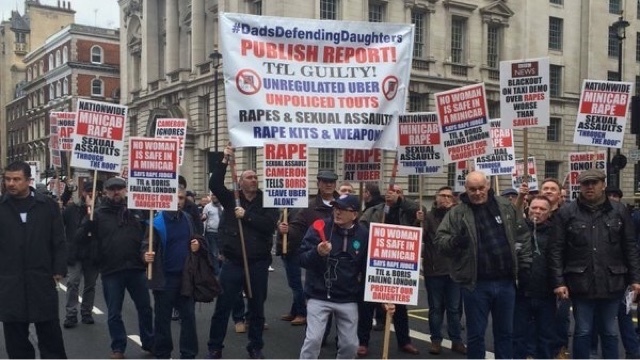 They took their final appeal to Hull Crown Court and after hearing the evidence Recorder Angus Withington, sitting alongside two magistrates, also agreed with the decision of the committee and magistrates and dismissed their claim. He added that, despite a final written warning, Jackson had “consistently failed to comply” with requests from the council’s licensing officers and that after going through an amber traffic light three weeks after the appeal hearing at the magistrates’ court, “pushed the matter of legality to the absolute limit” and he was satisfied she did not meet the criteria of being a “fit and proper person”. 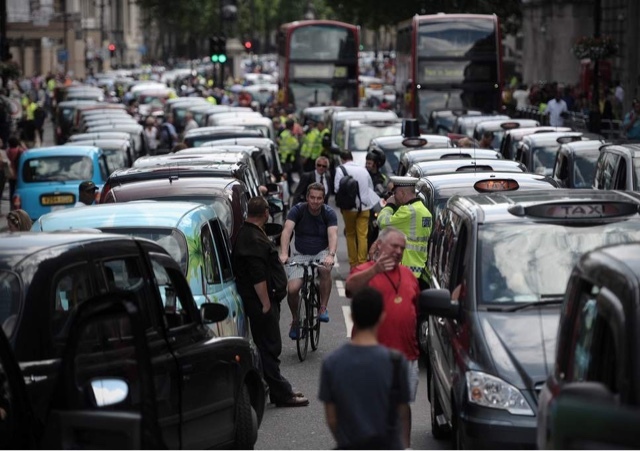 “We are perfectly satisfied there has not been the consistent and engrained compliance and approach towards all requirements placed on a driver and private hire operator. We are quite unable to say the decision of the licensing committee was wrong. 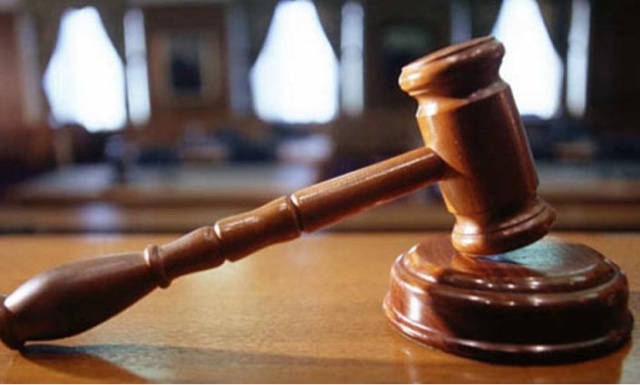 It is our judgement and finding that the respective appeals made by Ms Jackson both in relation to the private hire operator’s licence and the drivers licence are dismissed. “This is the first time that the council has had a case which has gone through two appeal processes but we are pleased, after hearing the evidence, the courts agreed with the decision of the licensing committee and dismissed the appeal. The council’s licensing team have been working closely with the drivers who were working under Wendy’s Wheels to ensure they have alternative work and this decision does not affect the number of drivers or vehicles available in the Bridlington area as bookings can be made with other licensed operators or Hackney carriages. The council takes the conduct of its operators and drivers and the impact on the welfare and safety of the public very seriously. We work very closely with private hire firms to ensure they have policies and procedures in place in order to protect their customers and we will take appropriate action where those standards fall short or an individual is no longer fit and proper to continue to hold a licence.